You’ve been suffering with the pain for far too long, and now you’ve had enough. You’re finally ready to have your wisdom teeth extracted. So what should you know about this procedure? Before you continue on, it’s important for you to understand that the removal of wisdom teeth is considered a form of dental surgery. Following this, any kind of surgery, no matter how minor, has its risks which means that the decision to have a wisdom tooth extraction should not be made lightly. How difficult will the procedure be? Depending on how your tooth is positioned as well as the tooth shape, the procedure can either be smooth-sailing or it can take your dentist a couple of hours to maneuver through the slippery extraction process. Generally, teeth which have erupted are easier to remove compared to teeth which have been impacted and are left underneath the gum line. On the other hand, teeth with fused roots are easier to remove. How will the tooth be extracted? 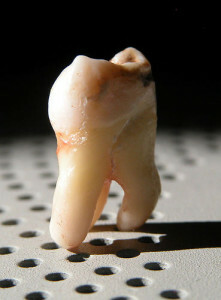 The tooth can be extracted in a couple of ways. If the tooth is sticking out of the gums, then the tooth can be removed in a straightforward manner with the use of a tool that looks like a clamp. On the other hand, if the tooth occupies a rather awkward position, i.e. It is submerged within the gums , then the tooth might have to be removed surgically which involves making a slice through the obscuring gingival tissues. Lastly, teeth that lies to its side underneath the gums may need to be sectioned out which involves dividing the tooth into pieces. What type of anesthetic or sedative will you be under? Before the entire procedure starts, you will receive a shot of an anesthetic. But if you are scared of injections, then don’t fret too much. The gum tissues will be numbed before the patient receives the shot. While the local anesthesia is enough to numb up the tooth, some individuals may still be anxious about going under the knife or having something yanked out of their mouth. If you are one of these individuals, then you can opt to be under a sedative which will help you to relax and ease up throughout the entire procedure. Conscious sedation keeps you relaxed without exactly making you fall asleep. Laughing gas is an example of a sedative which keeps you conscious.